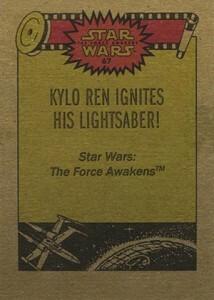 Trading cards have played an important role in Star Wars merchandising. There has been a renewed relevance with J.J. Abrams and his team opting to use them to unveil character names for Star Wars: The Force Awakens. But those were digital cards. Collectors are clamoring for the real thing. 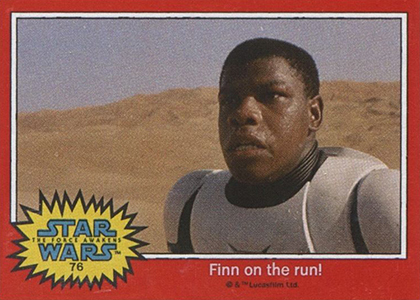 And while it appeared that the first actual The Force Awakens trading cards would arrive in 2015 Topps Star Wars: Journey to the Force Awakens, they've debuted early. 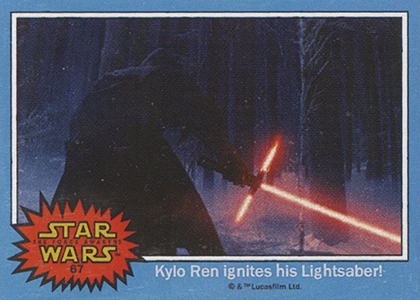 2015 Topps Star Wars Illustrated: The Empire Strikes Back has a handful of cards from the upcoming movie. Slipped in unannounced, it looks as though there are four The Force Awakens cards in the set. They're all based on the cards that were previously digital-only, both as promotional images and in the Star Wars Card Trader app. 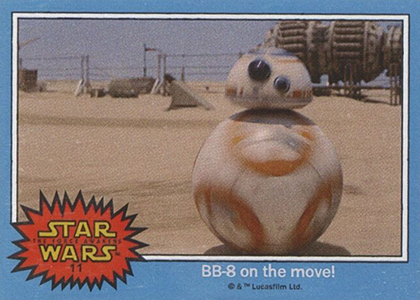 Included on the cards are BB-8, Finn, Kylo Ren, and the Millennium Falcon. 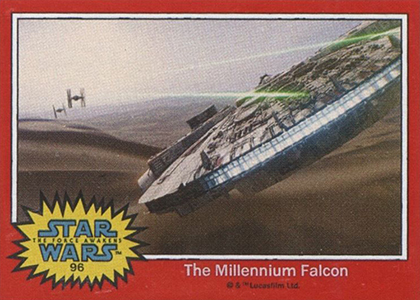 All four are based on the 1997 Topps Star Wars design. Insertion rates have not yet been announced, but it looks as though they're extremely tough to pull. Just saw this, thanks for the info! 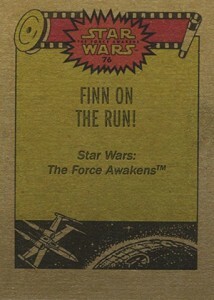 The other 4 formerly virtual-only vintage style TFA promos were issued at the 2015 San Diego comic-con in the “Lando” promo comic book given out at the Marvel booth, one per issue. That means all 8 of those images made for Entertainment Weekly are now actual cards.